Today is Jonathan Adams Day at the Library! This day of library services has been dedicated to Jonathan Adams. He supports the library’s daily contributes to our community as a resource and facility for people of all ages to read, explore and learn. Busy library public computers and WiFi network with people job hunting, connecting with friends and family, editing and printing color images, researching family history, reading news and many other activities. School age children in a library workshop with stories and hands-on activities learning about math and science; and adults connecting with others in classes to learn how to use Pinterest, manage a chronic health condition, or start seeds for a spring garden. One-on- one tech training to learn how to use a new tablet. Families in their homes downloading movies and music and finding resources to help with homework. You and your recipient celebrating this special day. 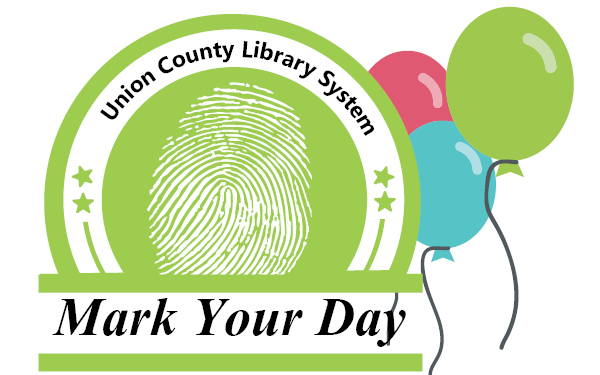 You too can make your mark on the community with the library’s Mark Your Day program. For a $100 donation, your name can be here. Click here to learn more Mark Your Day.